SPRINGFIELD, Ill. (WLS) -- Three top members of Governor Bruce Rauner's staff have resigned in the wake of a controversy over a political cartoon about school funding. The first-term Republican had repeatedly said he hadn't seen the image, which depicts a black Chicago schoolchild begging for money from a suit-clad white man who has cash stuffed in one pocket. The cartoon was circulated online last week by the Chicago-based Illinois Policy Institute, a conservative think tank Rauner has links to. Sources close to the governor's office told ABC7 Eyewitness News the resignations were given by Deputy Chief of Staff of Communications Diana Rickert, Communications Specialist Brittany Carl and Director of Communications Laurel Patrick. Wednesday the governor had to clarify a press release sent out Tuesday where an aide said the governor had no comment on the cartoon because he is "a white male." 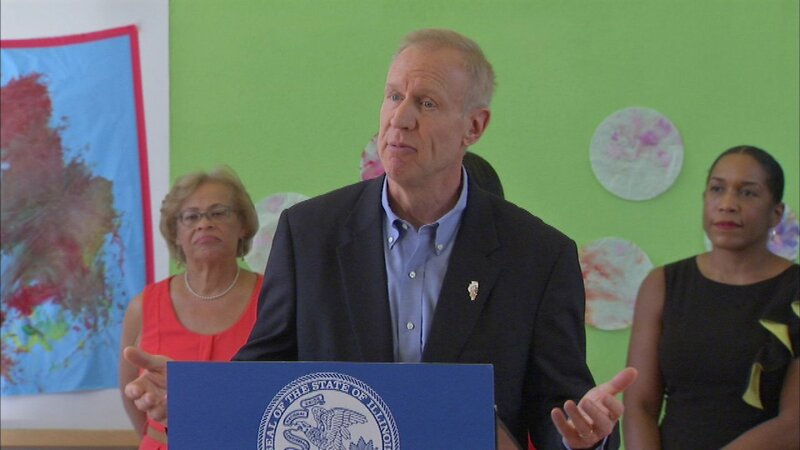 Rauner issued his own words saying the earlier comments from his office "did not accurately reflect my views" and he could "understand why some people found the cartoon offensive." He then added that it wasn't his place to "comment on every cartoon or picture that comes from people outside the governor's office."